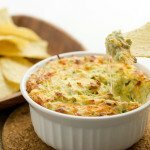 Do you love jalapeño poppers? but you’re too lazy to make them at home? Don’t worry, you are not alone. I hate the thought of all that stuffing and deep frying, for poppers that will be eaten up in 2 minutes! Well here’s a solution! 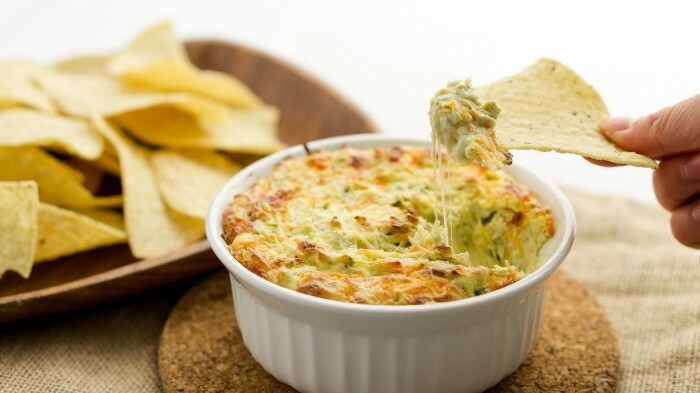 Try this jalapeño cheese dip, it’s cheesy, creamy, and has a nice kick to it. Roughly chop the garlic and the jalapeños, I use one whole jalapeño and then seed the other 2. Depending on your tolerance for heat but I find one is perfect. In a food processor, pulse the jalapeño and the garlic until you have a finely diced texture. Chop the cooked spinach into small pieces. In a medium bowl, put the cream cheese, jalapeño and garlic mixture, spinach, parmesan and cheddar cheese, and mayo. Mix well and add to a oven safe bowl. Sprinkle extra parmesan cheese on top. Bake for 25 minutes until golden brown and bubbling. 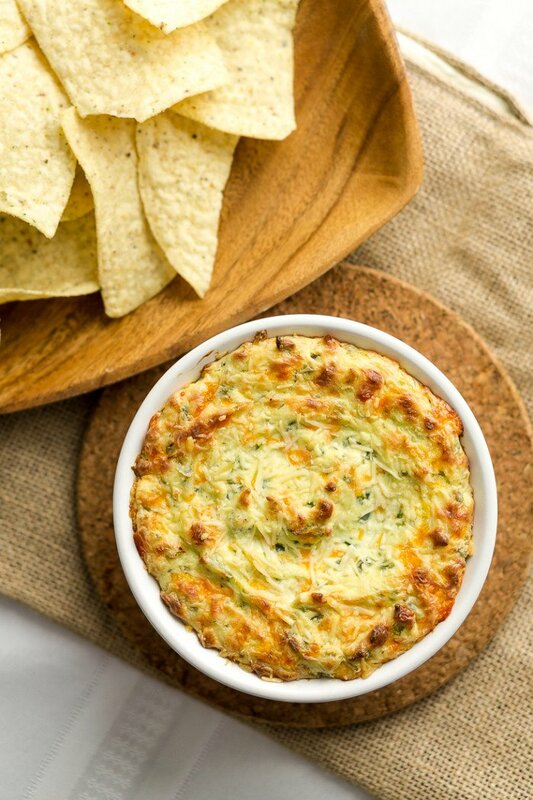 Serve with corn chips.